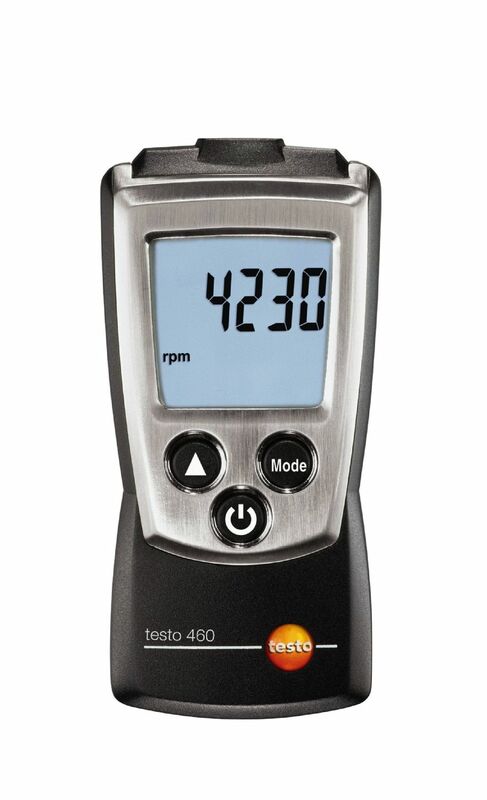 One tachometer, multiple measurements: The testo 470 tachometer carries out rpm measurements on motors, shafts, fans, etc., but that’s not all. With this handy instrument, you can also determine speeds and lengths (e.g. of conveyor belts and rotors). 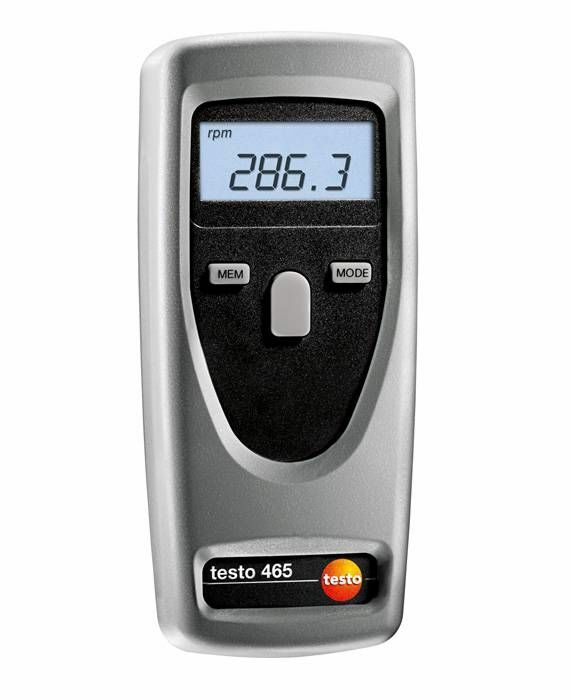 For carrying out non-contact rpm measurements: the testo 460 tachometer with self-adhesive reflective markers, LED measurement spot marking and a long list of high-quality accessories. 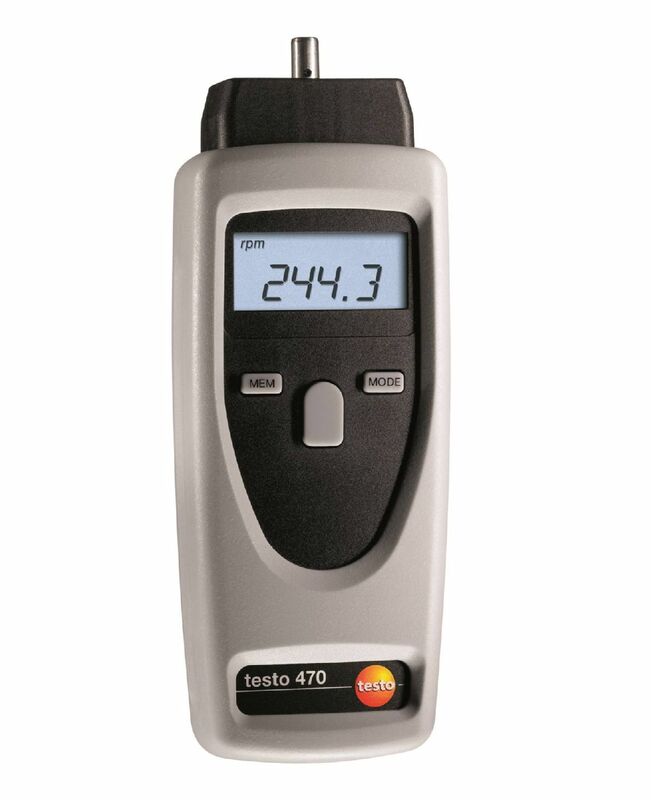 You can use the testo 465 tachometer for quick and easy rpm measurement on rotating parts such as fans and shafts.